0 •It's a sketch of the area. (From nowhere in particular, you hear a voice. I'm, like, standing right here! I'm an ant! Don't you dare step on me! but I just can't take it anymore! Fights are all about rhythm! rhythm that matches the enemy's beat! I hereby name these "Sound Battles"! (Watch where you're steppin', will ya?! I'm standing right here, you know! enemy's heartbeat by putting it to sleep? So now you better know, too! of this rhythm stuff, of course. 3 •Oh, it's old man Wess's son, What's-His-Name. without being done in by all them monsters? 4 •Want inside the castle, do ya? •'Fraid that's not gonna happen. •Only way inside now is to climb up the walls. 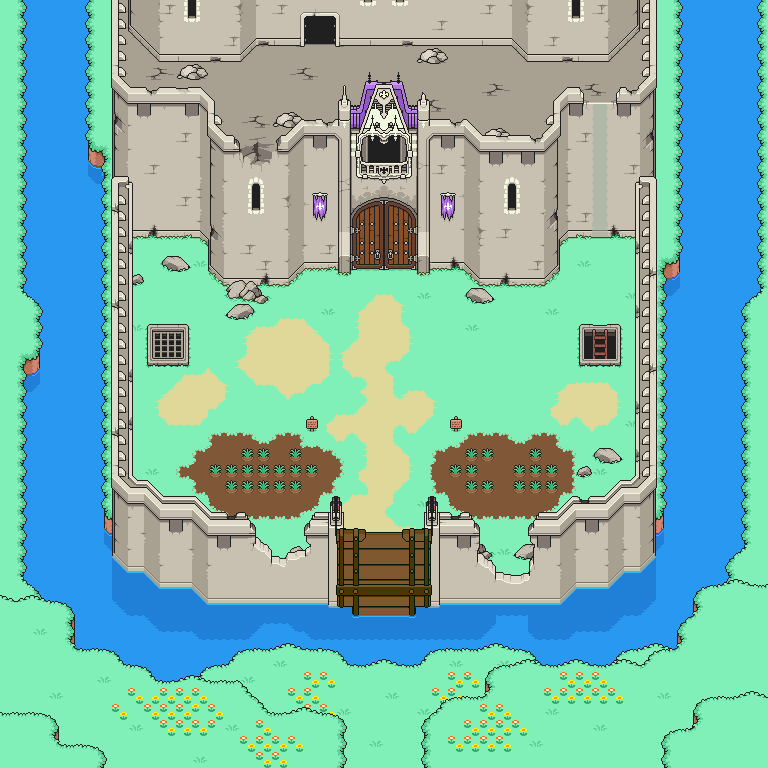 •It's just an old, crumbling castle now. castle is bein' raised somewhere else. than a monkey and stronger than a bear. 9 •This wall seems scalable. 10 •It seems to be locked from the inside. 13 •My humble little [FAVFOOD] patch. 14 •Oh, it's old man Wess's son, What's-His-Name. than taking this underground passage. 15 •Here, I'll give you the Drawbridge Key. passage, that'll be enough for me. 17 •Received the Drawbridge Key! 18 •You're already holdin' too much stuff. •Go throw somethin' out first. 20 •Go how far into Murasaki Forest? The proper way of accessing this isn't clear yet. There's a very roundabout way by using the main debug room and doing things in a specific order, but I forget how it goes. 21 •Go how far into Snowcap Mountain? 22 •Go how far into Saturn Valley? 23 •Go how far into Tanetane Island? in the battle that follows. behind or the side, you'll have the upper hand. the battle, putting you at a real disadvantage. seem blue-ish, for lack of a better term. "Go forth, young man. Go, go, go!" and all that.